Nicole studied at the University of Mannheim (Germany) and the Johns Hopkins University in Baltimore (USA) and received her PhD from the European University Institute in Florence (Italy) in 2007. Her dissertation on intergovernmental relations in federal systems was published by Oxford University Press. Nicole's research interests include institutional and organizational theory, party politics, the study of voluntary organizations, comparative federalism and multilevel governance as well as theories of legitimacy. Since 2007, she has completed two British Academy projects, one on 'The Organisation of New Parties in Western Europe' and one on 'Parliamentary Salaries as Source of Party Funding' (the latter co-directed with Susan Banducci, Exeter). She also has been the co-organiser of the ESRC-funded seminar series 'Reforming Intergovernmental Relations in a Context of Party Political Incongruence?' together with Wilfried Swenden and Nicola McEwen (University of Edinburgh). 2009/10 she held a Marie Curie Fellowship at the University of Leiden (Netherlands) to work on indirect state funding of political parties and completed a project with Anika Gauja (University of Sydney) on 'Party Reform and Party-State Relations in Australia and the UK' funded by the Australian Academy of the Social Sciences. July-December 2011 Nicole spent at the University of Cologne (Germany) as an Alexander von Humboldt research fellow to work on her second monograph 'New Parties in Old Party Systems' which came out with Oxford University Press in 2013. Currently, Nicole is involved in several projects. She runs - together with Kris Deschouwer (VUB) - a four-year project on 'The Persistence and Decline of New Parties in Advanced Democracies' funded by the Flemish Science Foundation and is the scientist in charge of a two-year EU Marie Curie Intra-European Fellowship (IEF) titled ‘Unstable Party Supply in Established and New Democracies’ (2014-15). Since December 2013, Nicole directs a five-year research project on 'State Encroachment on Civil Society? A Comparative Study of Parties, Interest Groups and Welfare-Providing Organisations in Contemporary Democracies (STATORG)' funded by the European Research Council, which will involve a postdoctoral research fellow and two PhD students. 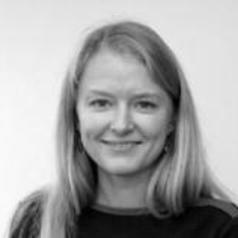 She is also co-directing a BA/Leverhulme-funded grant on 'Democratic Self-Defence Before and After 9/11' together with Anika Gauja (University of Sydney) and a HASS-funded project on 'The Management of Intra-Organizational Dissent' with Thomas Morton (Psychology, Exeter). Nicole is the Director of Research in Politics as well as the Director of the Centre for Elections, Media and Participation (CEMaP).